This semester’s theme will explore the meaning and importance of Indigeneity in the Americas in relation to both reservation and urban Native communities and their neighboring non-Native communities. More specifically, we will explore the ways that power and privilege in the dominant society has related to Native and Indigenous subjectivities, including race, ethnicity, gender, sexualities, and class. For example, to what extent do historical policies imposed by nation-state governments – like blood quantum – disproportionately discriminate against or disadvantage Indigenous peoples of multiracial ancestry, Indigenous women, and Indigenous peoples of the third and fourth genders? We will also address how Indigenous scholarship continues to chart new frameworks for analyzing Indigenous cultural production, Indigenous activism, and Indigenous innovation across disciplines, genres, and regions. How do Indigenous peoples throughout the Americas, for instance, come to know and relate to terms like subjectivity, agency, power, privilege, race, gender, or settler colonialism? How do these terms, in turn, shape Indigeneity in the Americas? 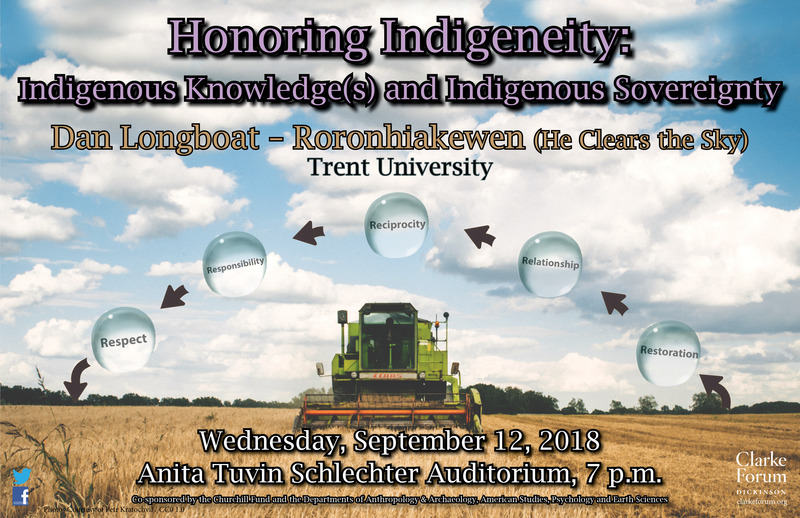 Finally, we will address the question of Indigeneity in the Americas in order to ascertain how bridging Indigenous knowledge and Western knowledge is already and will continue to contribute to the critical study of a host of economic, political, social, and cultural issues—from climate change to violence against women to the inequality of resources– being faced by Indigenous and non-Indigenous communities alike. This program is sponsored by the Clarke Forum for Contemporary Issues and a Civic Learning and Engagement Initiative Grant from the Andrew W. Mellon Foundation and co-sponsored by the Churchill Fund and the departments of anthropology & archaeology, American studies, environmental studies, philosophy, history and the food studies program. 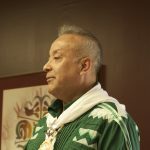 It is part of the Clarke Forum’s Leadership in an Age of Uncertainty Series and its semester theme, Indigeneity in the Americas. Jane Mt. 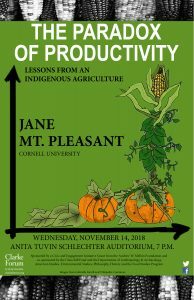 Pleasant, associate professor in the Horticulture Section of School of Integrative Plant Science at Cornell University, studies indigenous cropping systems and their productivity. 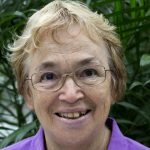 Using her expertise in agricultural science, she examines agriculture from a multi-disciplinary perspective that includes history, archeology, paleobotany, and cultural/social anthropology. 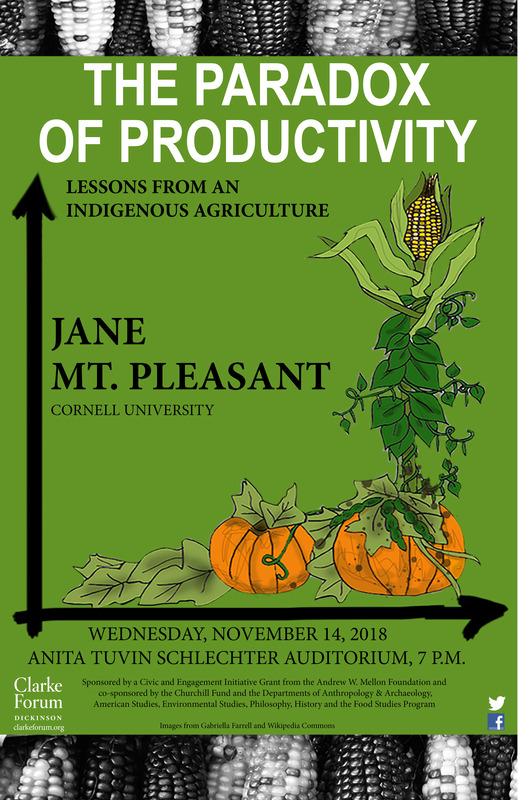 Although much of her work has focused on Haudenosaunee agriculture in the 16 through 18th centuries, more recently she has expanded her research to include pre-Columbian agriculture in eastern and central North America. Mt. Pleasant received her B.S. and M.S. from Cornell University and her Ph.D. (in soil science) from North Carolina State University. She is of Tuscarora ancestry. Thomason’s story begins in 1887, eleven years after the battle of the Little Big Horn, when Buffalo Bill Cody brought his premiere of Buffalo Bill’s Wild West to Europe, cementing Cody as one of the most famous people of his day. His show, which he called The Drama of Civilization, attracted millions and affected perceptions of history to the present day. This residency is sponsored by the Clarke Forum for Contemporary Issues and a Civic Learning and Engagement Initiative Grant from the Andrew W. Mellon Foundation and co-sponsored by the Churchill Fund and the departments of English, anthropology & archaeology, sociology, history, American studies, and theatre & dance. raise provocative questions about Indigenous realities ––has long made her an inspiriting contributor to schools and organizations across the globe. The wry humor and subtle graces that infuse Thomason’s work enable her broad and modern appeal, while a lifetime of study and tradition bearing ensure the deep cultural roots of her craft remain intact. When she adds personal stories, the result is a contemporary voice, speaking with elegance , wit, passion and intention. As an adult, Thomason never strayed far from the legacy her grandmother gave her. She graduated college in 1970, obtaining a Bachelor of Arts in English and Theatre, with a concentration in Native Studies. Following graduate study in secondary education, she began to teach high school students in Ohio, as well as work with urban Indian centers and Headstart programs which continue to this day. During her time in the classroom, she came to understand that stories were often the most effective way of reaching learners. This realization confirmed the importance of weaving her grandmother’s lessons into formal education, and increased her drive to understand more about her ancestral craft. 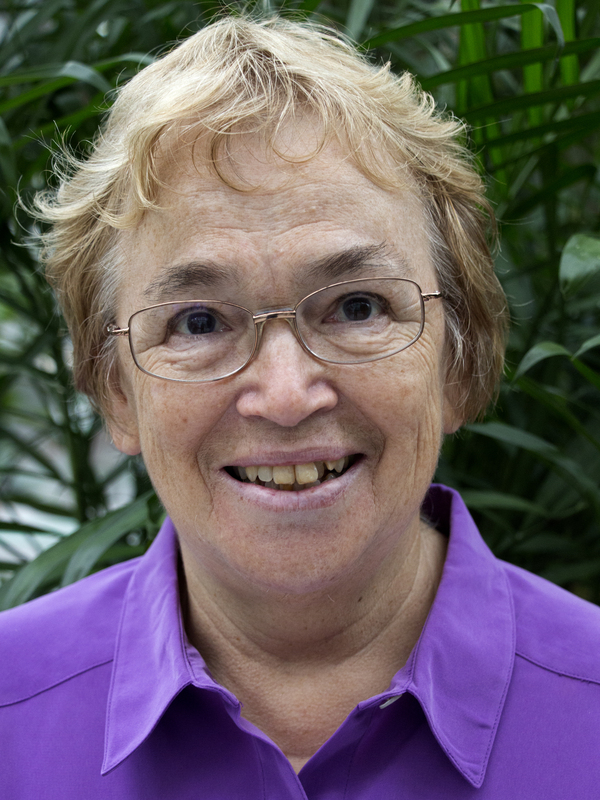 Thomason has been aided in her commitment to Indigenous oral traditions by tribal elders of many nations. The work and support of Vine Deloria (Dakota ) was a critical inspiration to her drawing from writings of his aunt, Ella Deloria , and Gertrude Bonnin, aka Zitka la -Ša (Nakota ). 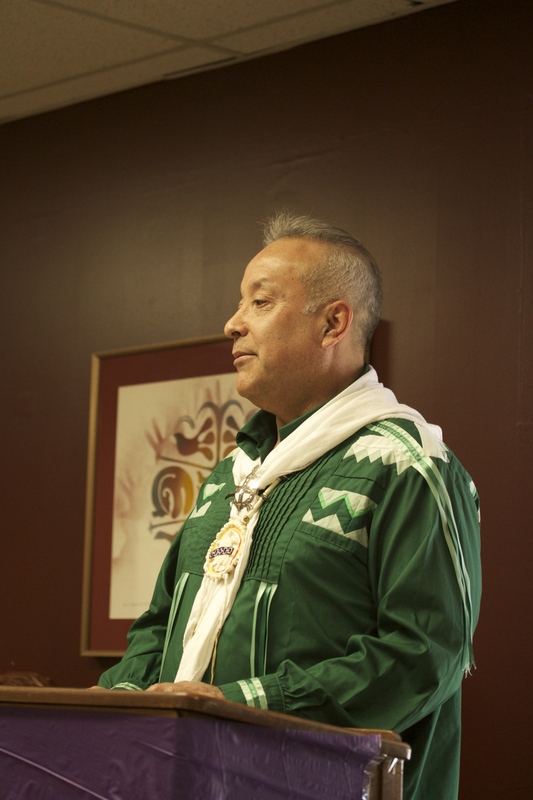 Making the commitment to share these stories publicly was particularly encouraged by the example and direct guidance of Alfonso Ortiz (Tewa ). From them, as well as many other seasoned tradition bearers, Thomason continues to hone her understanding of the ancient craft of storytelling. She was entrusted with new tales from neighboring cultures, different interpretations of familiar stories, and the tales of her maternal Lakota ancestors. 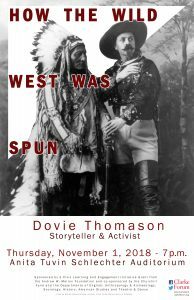 Learning to convey these stories to audiences young and old, Indigenous and non-Indigenous, became Thomason’s vocation. 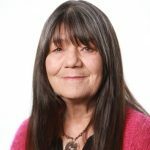 In the three decades following her decision to become a professional storyteller, Thomason’s dedication to sharing Indigenous voices has taken her down many roads. She has worked with countless schools and universities, acting as a guest or artist-in-residence for institutions from New England to New Zealand. She has taught Native studies and regularly visits universities as a visiting lecturer or artist-in-residence, most recently with the Center for Creative Writing and Oral Culture at the University of Manitoba, which also hosts the National Centre for Truth and Reconciliation. She has presented keynotes, workshops, and consultations for noted organizations, including the National Headstart Conference, TEDx Leadership Conference, and NASA. Her storytelling has been featured on countless prominent stages, including the Kennedy Center, Smithsonian Museum, London’s Barbican, and Shakespeare ’s Globe Theater, working with artistic director Mark Rylance. Thomason has also found the time to work on a variety of special projects, lending her voice to narrations for the BBC, NPR, PBS, RTE, and the National Parks Service. She has also produced award-winning audio recordings of her own, receiving the Parent’s Choice Gold Star, the American Library Association’s Editor’s Choice Award, and the Audiofile Earphones. Other notable recognitions include the National Storytelling Network’s ORACLE: Circle of Excellence Award, Wordcraft Circle of Native Writers’ Traditional Storyteller Award, and acknowledgment as a master traditional /teaching artist by the National Endowment for the Arts, New England Foundation for the Arts, and Smithsonian Associates. Thomason represented the U.S. as the featured storyteller in Estonia : EU City of Culture and Derry/Londonderry: UK City of Culture and Freedom Park in South Africa. She has been hosted multiple time s by The National Museum of the American Indian, as well as international storytelling festivals around the world. Thomason has used her storytelling to advise the UCLA Film School on narrative in modern film, NASA on Indigenous views of technology, the Smithsonian Associates’ Scholars Program and the premier TEDx Leadership Conference. 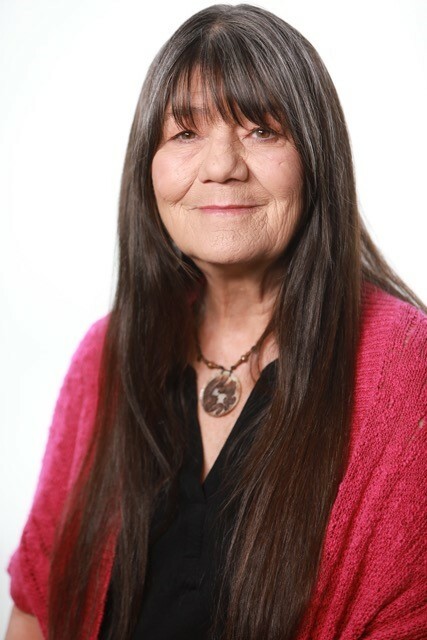 Her role as a traditional cultural artist has been honored by the National storytelling Network’s ORACLE: Circle of Excellence Award and the Wordcraft Circle of Native Writers’ Traditional Storyteller Award.